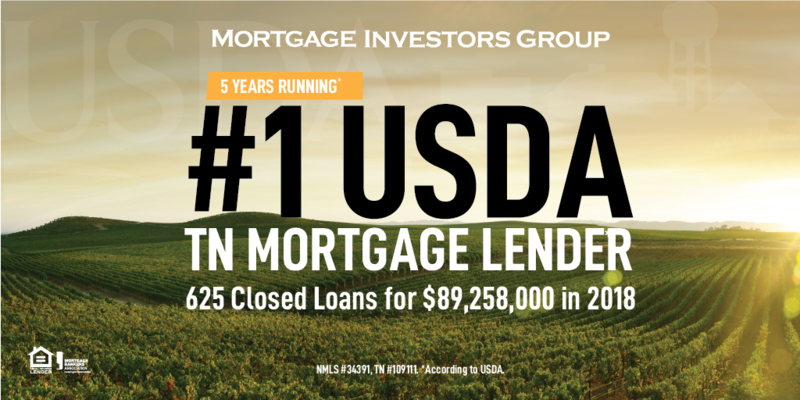 KNOXVILLE, Tenn. – The U.S. Department of Agriculture has recognized Mortgage Investors Group as the top rural housing lender in Tennessee for 2018, company officials announced today. Mortgage Investors Group closed 625 loans with $89,258,000 in USDA loan production. The department’s Rural Development office recognized MIG with the same award in 2014, 2015, 2016 & 2017. In addition to being the state’s top volume lender, MIG was also recognized as having the lowest default rate in the state as well. As Tennessee’s leading residential mortgage lender, MIG assists clients in selecting from a variety of home mortgage loan programs, including conventional loans and those insured by government agencies, including the USDA’s Guaranteed Rural Housing Loan Program. USDA officials presented MIG leaders with the Guaranteed Rural Housing (GRH) Top Lender Award today. They also recognized the company for outstanding underwriting and low delinquency. Since opening its doors in 1989, MIG has served more than 125,000 clients in excess of $20 billion. 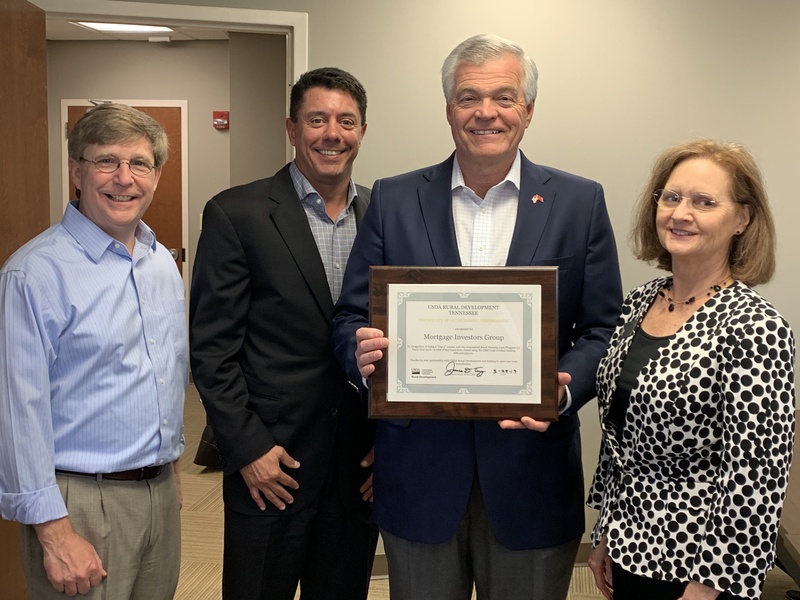 The Knoxville-based company has nearly 400 employees in 25 branch locations from Memphis to the Tri-Cities and has also been the Tennessee Housing Development Agency’s (THDA) top lender since 2003.